along with the Release Notes, which seem to be pretty much about vCloud Automation Center issue resolution, and not much else. Click here for the image on the Disqus thread, to zoom in and have a look at how the authenticated session should look, after a successful login to a partner account. What about everybody else? Houston, we currently seem to have a problem. In the past few weeks, I've seen an uptick in folks leaving comments about issues with trying to locate the VCSA (vCenter Server Appliance), see Protools Guru and Ryan. 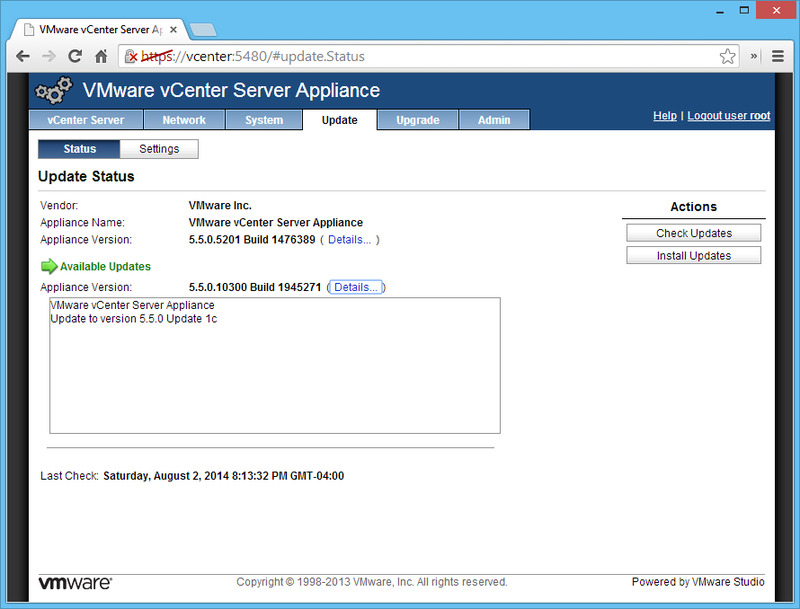 Not just the Jul 22 2014 5.50U1c release, but many other piece of vSphere 5.5 as well. At least the free hypervisor download is still there at www.vmware.com/go/get-free-esxi. You do not have access to an Account. Check with your Super User, Procurement Contact or Administrator. You have not registered for this product. sign a "Accept End-User License Agreement"
click "Start a New Evaluation"
Of course, I'm looking into this download access issue, as are many of my site visitors. It seems that this problem has likely been around since July 22nd, and I'm just not sure if this is intentional or accidental at this point. 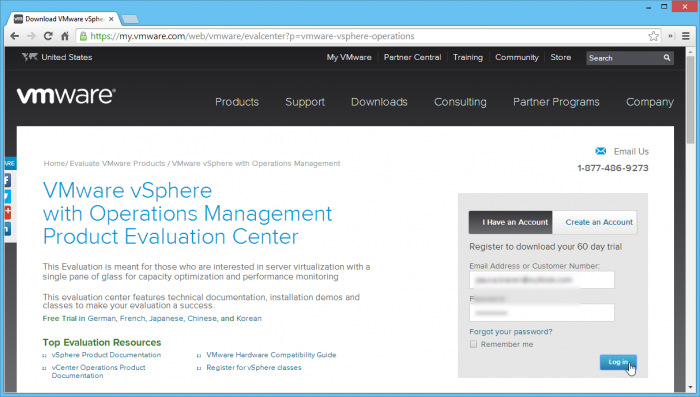 We cannot conclude it's some sort of harbinger for vSphere 6. I just don't know. I sure hope not. I'll post any findings or breakthroughs I make or hear about this, right here at TinkerTry, subscribe to be notified of all new articles, and drop a comment below as an authenticated user to get email notification of updates to this article's comments. For folks that already have a VMware vSphere 5.5 trial of some sort going, there is another option. Backup or do a snapshot, then use the integrated "Update" button at https://vcenter:5480/#update.Status and what a while, then you're all set. You can see what this simple upgrade process looks like in the screenshot below. 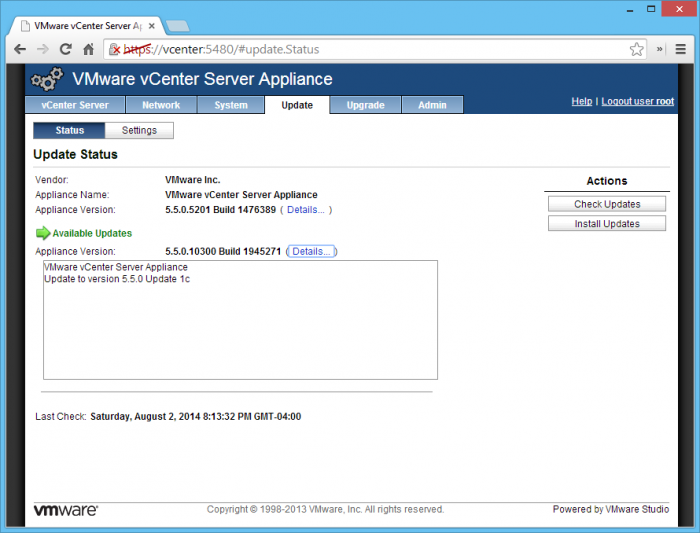 Good news, with the help of Harold Robinson's TinkerTry comment below, and some tips from the VMware licensing folks available at no cost at (877)486-9273, I was able to get to the appliance again. It's the 5.5 Update 1b version, so you'll need to install it, then use the simple "Update" button seen above. Here's the easiest way to get the OVA. Yes, I agree, it's a bit silly that it's this hard to locate. Let us know how you do by dropping a comment below. Just remember TO CLICK THE "START FREE TRIAL" BUTTON ONLY ONCE. Otherwise the free trial registration will fail. 5) Login to the appliance when you're done configuring it, and simply use the Update tab's "Check Updates" button, and let 'er rip. When prompted to reboot the appliance, do it. You're done!